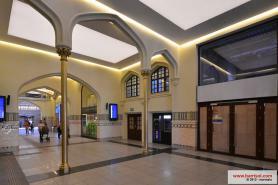 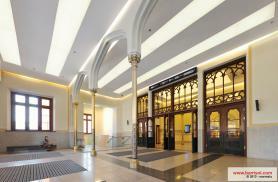 The lovely central railway station of Wrocław, city of art and history, in Poland, has been entirely renovated. 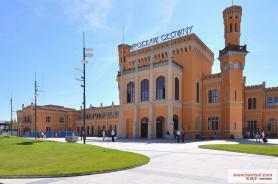 The project, directed by Budimex, has been designed by the architects from « Group 5 » of Warsaw. 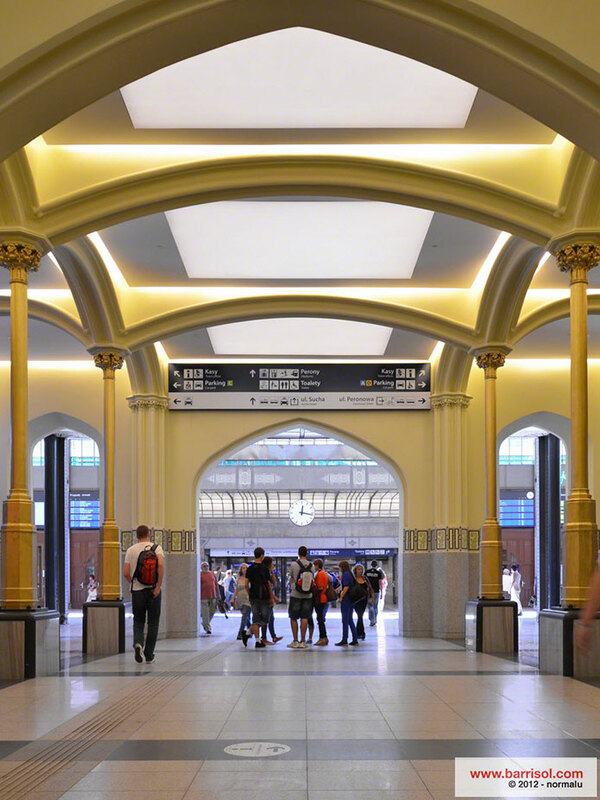 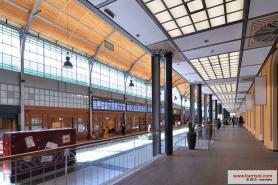 In the main lobby of the station, more than 1600 m² of translucent Barrisol Lumiere stretch ceiling has been installed, creating many skylights complimenting the architecture of the place. 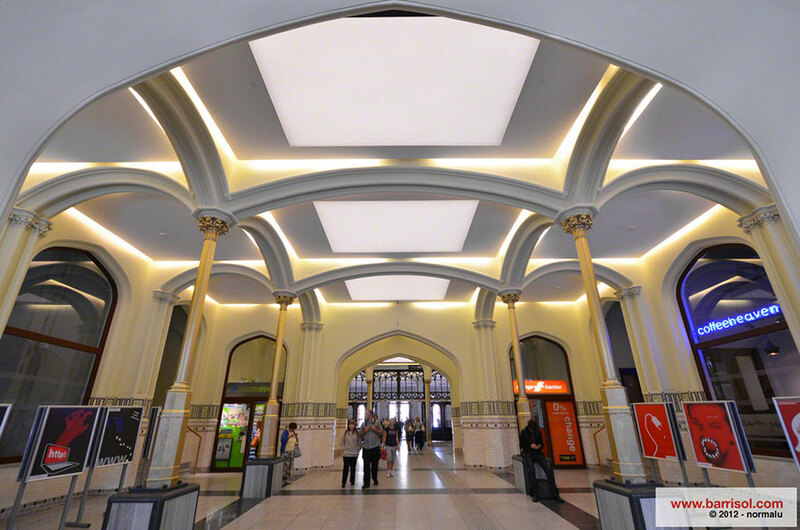 The gallery, accurately reconstructed, has been embellished with 1300 modular tiles made of Barrisol® Translucent ceiling. 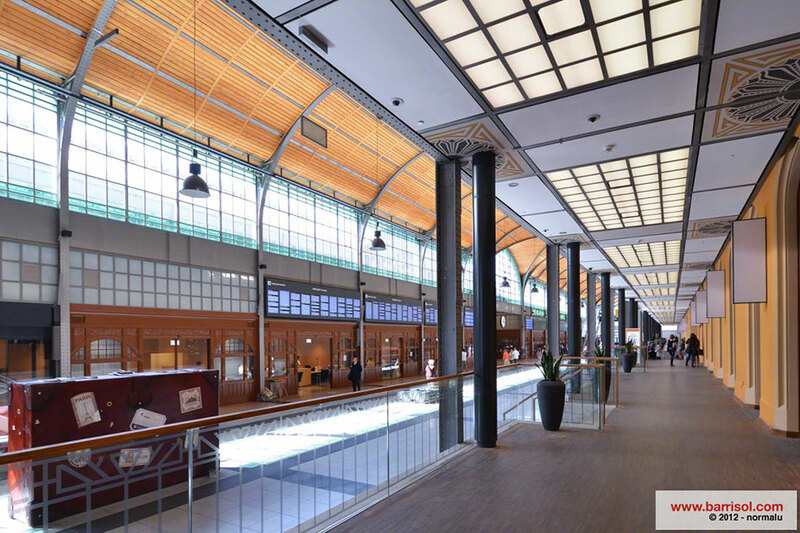 All of these tiles integrating an exclusive lighting system. 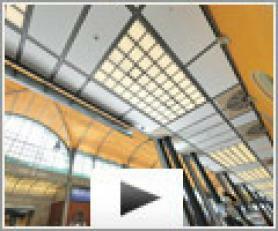 Barrisol® ceiling tiles are modular tiles associated with Barrisol® sheet and installed on metallic rails. 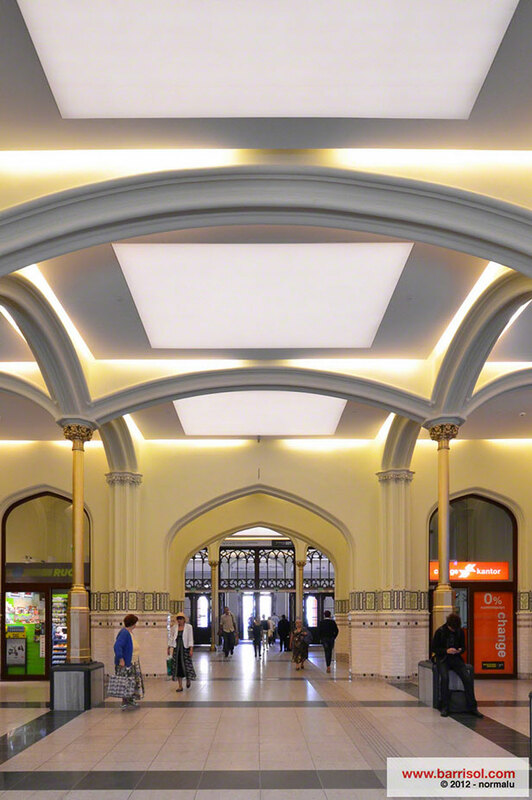 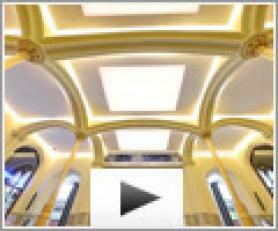 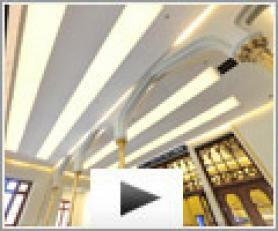 Ideal for renovating and decorating, Barrisol® ceiling tiles are easily removable. 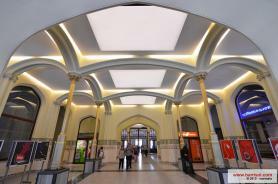 Moreover, ideas in design are possible like the “mosaic” effects or the matter oppositions.